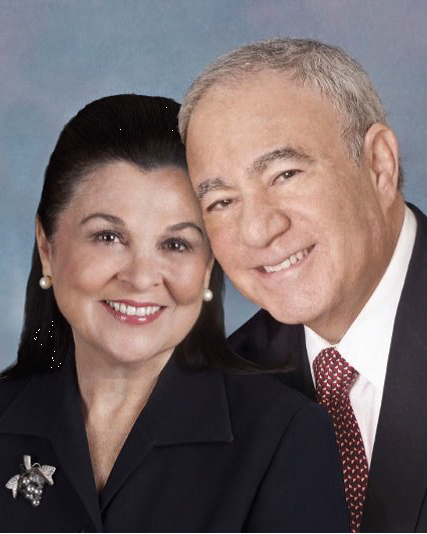 Gil Spiegel was born into the real estate business, a third generation family business. His family developed one of the first industrial parks in the United States. At the age of 12, Gil told the local neighborhood farmer that when the farmer was ready to sell, he would buy the property and build houses. Fifteen years later, at the age of 27, he did just that. Today, that property is an established neighborhood in the suburbs of Philadelphia. After building homes, a shopping center and the first luxury condominium in the Philadelphia suburbs, he and his wife Marilyn moved to sunny California in 1993. Gil's real estate background is all- encompassing; he is a real estate attorney who has owned and operated commercial and residential mortgage businesses, he possesses title experience, and he has developed and managed both commercial and residential properties. From first time homebuyers to the most sophisticated complex commercial transactions, Gil always makes sure his clients achieve their goals. He has consistently proven his ability to market properties, no matter what trends prevail. Gil's steady, calm persona combined with his knowledge and great people skills is the key to his consistent success. Marilyn brings over 30 years of marketing experience to Berkshire Hathaway. She uses her great energy, enthusiasm and focus; along with her team of outstanding lenders, escrow, title companies and support staff to make your transaction go smoothly. Marilyn believes that product knowledge is absolutely essential to success; she is equally emphatic that customer service is everything. Her career began in New York where she headed up the marketing programs for multi-million dollar apparel companies. She obtained hands-on real estate experience in Philadelphia helping to market the first condominium project in the area. Marilyn says, “Working open houses in California sure beats sitting in model homes back East on snowy Sundays”. Marilyn's marketing acumen serves her well in her real estate career. She understands that effective marketing consists of discovering the needs of the client and answering those needs through research, meeting sales objectives with targeted advertising campaigns, and consistent communication. Her belief in consistency carries through her personal life; she and Gil, her college sweetheart, have been married for over 40 years. They have three married daughters and six grandchildren. Together Gil and Marilyn make up a strong team with abundant experience. They have the best connections to help you find the right property or buyer, handle relocation details, and secure the best financing. Best of all, their nurturing personalities help make your life transition easier.